Braving the inclement weather, the teens wasted no time and left no stone unturned in their efforts, which unearthed 48 plastic bottles and a huge amount of cotton bud sticks and food packaging, filling 22 refuse sacks. 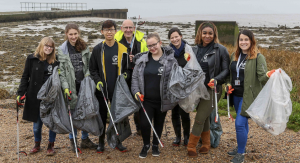 Organised annually by National Citizen Service (NCS), Action Day is an opportunity for any young person who has participated in NCS to come back and donate their time to a worthy local cause. 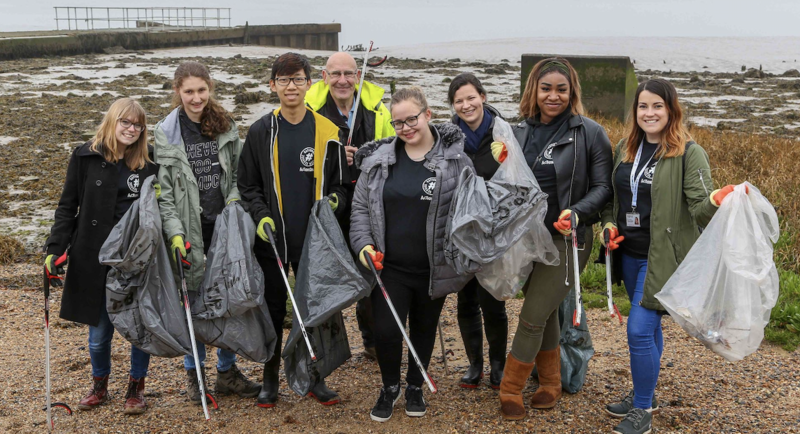 The teens joined the Grays ‘Beachcombers’ who meet on the first Sunday morning of each month to clear the foreshore as volunteers for Thames21, an independent charity working to improve rivers and canals for people and wildlife. “It was shocking to see what had washed up onto the foreshore,” said 17 year-old NCS graduate Charlea Bray from Tilbury. “Plastic waste is a huge modern-day issue, polluting waterways and harming wildlife. I think it’s important to be mindful of what products we choose to buy, and the threat plastic has on our environment. Charlea, a student at USP Palmers College, spent four weeks on the NCS youth empowerment programme last summer. 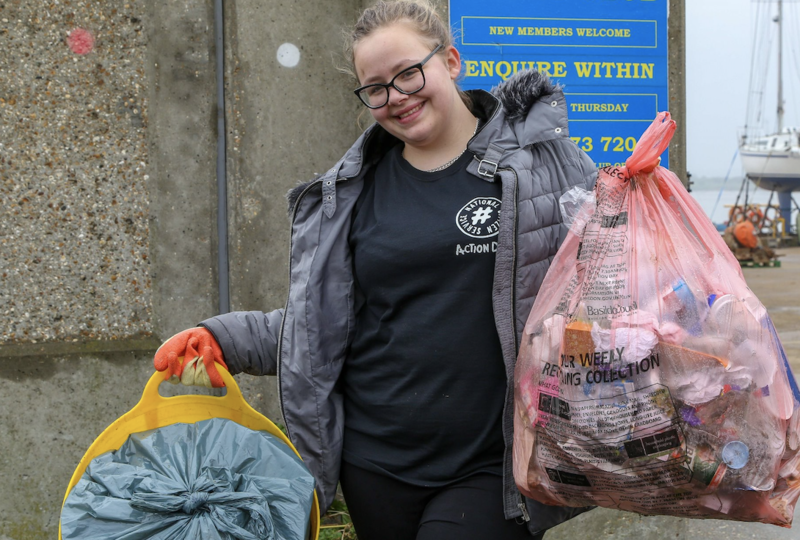 After spending time at Kingswood outdoor education centre in the Isle of Wight, she completed a social action project to renovate the gardens of a care home in Chadwell and has been keen to volunteer her time to the local community again. Taking place outside of term time, NCS is a once–in-a-lifetime opportunity open to 16 and 17 year olds across England and Northern Ireland. Delivered regionally by Ingeus and a range of community based partners, it helps young people build skills for life, promotes trust between people of different backgrounds and gives participants the opportunity to volunteer their time to a social action project. Nationally, more than 500,000 teens have taken part, donating 12 million hours of community-focused time. Action Day aims to showcase the true power of young people as NCS graduates, utilising the skills and experience they gained on the NCS programme to continue to make positive changes in their local area. This year it also coincides with the Great British Spring Clean, which runs until 23 April.